Rihanna attended the London premiere of Ocean’s this evening (June 13). Styled by Mel Ottenberg, she looked radiant in a gold gown and matching accessories. The ultimate fashion duo are on a roll with metallic dresses. Just take a look at the Givenchy she wore to the New York premiere. 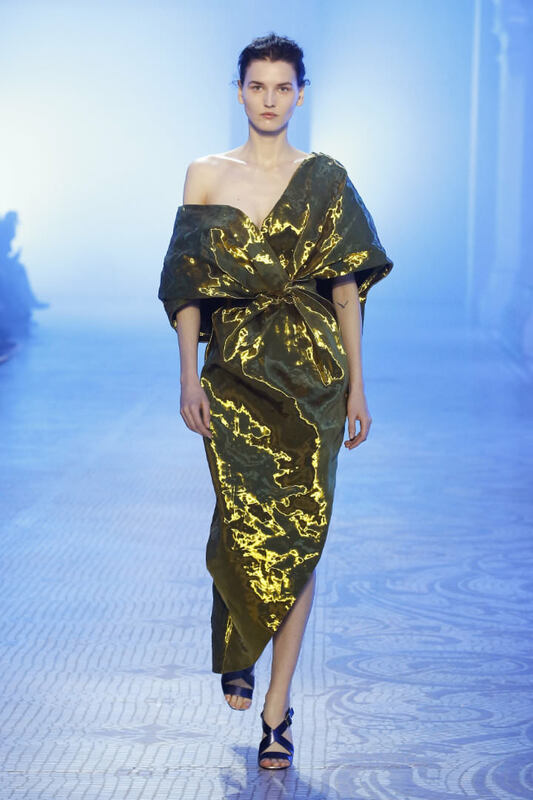 The megastar donned a draped gold gown from Poiret‘s Fall/Winter 2018 collection. The dress features an off-the-shoulder silhouette, a deep neckline and an asymmetrical hem. Rih is a fan of Giuseppe Zanotti‘s Harmony sandals ($845). She’s previously worn the strappy shoes in black and silver. This time she opted for the mirrored gold version. The sandals have a zip fastening in the back as well as a 4.7″ covered stiletto heel. She carried one of Christian Louboutin‘s Vanité clutches. Pictured above in black, hers is covered all over in gold Swarovski crystals. 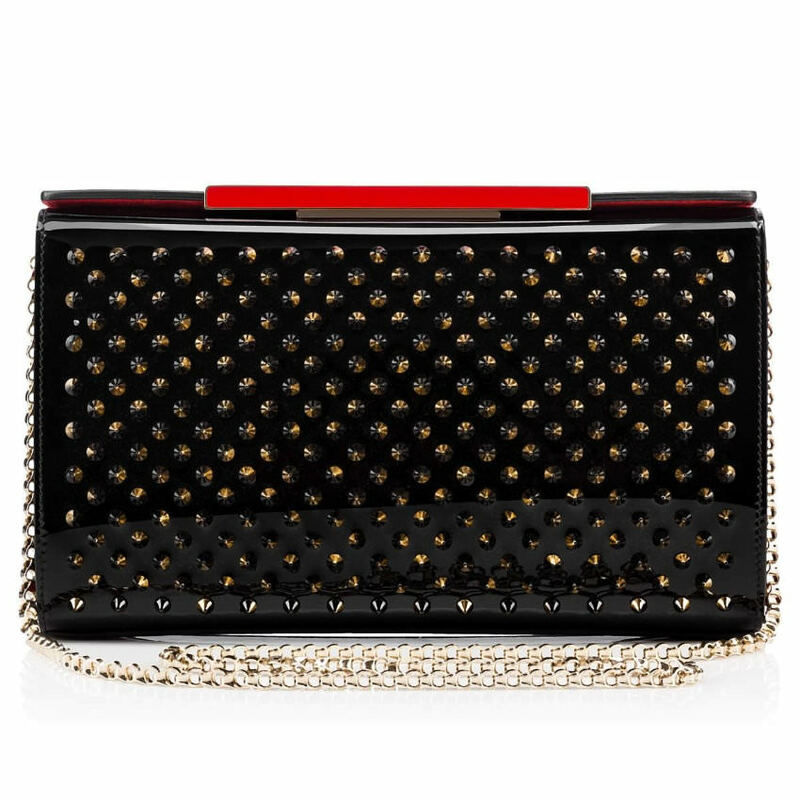 The Vanité clutch is distinguished by a magnetic top closure, a removable crossbody chain and just a peek of that signature red. Rih wore two pairs of Konstantino earrings. 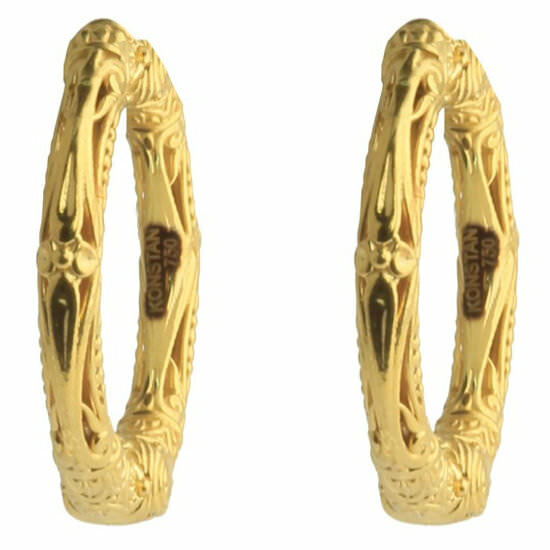 Firstly, she rocked these 18kt yellow gold and pavé diamond J hoop earrings that are from the “Flamenco Gold” collection. 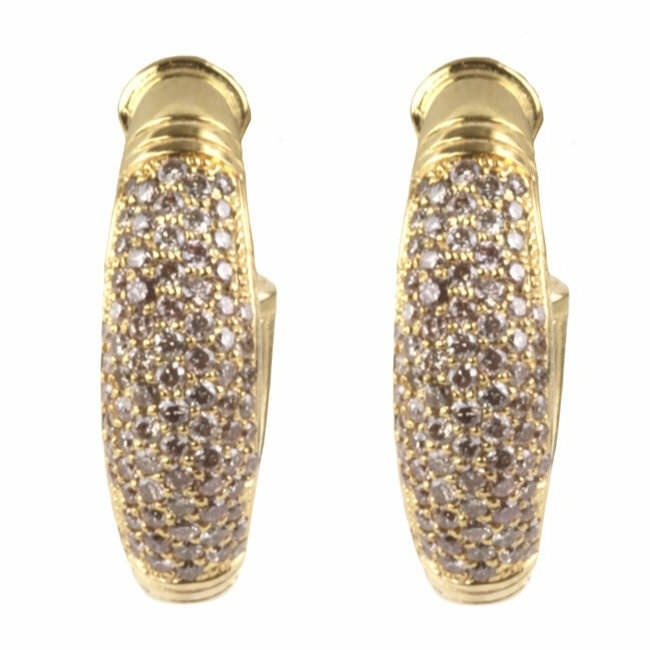 This next pair of Konstantino earrings might look familiar because Rihanna previously wore them to the 2018 Met Ball. These boast an intricate etched design. Her other small hoop earring is by Maria Tash. The Bajan beauty sported two large cocktail rings. This one is a vintage piece from Eleuteri. 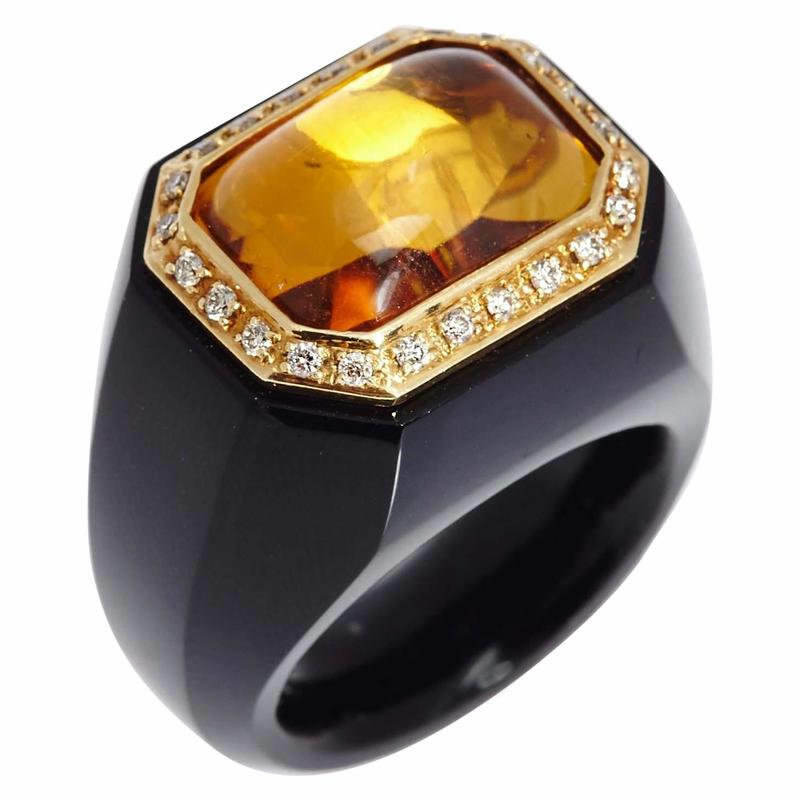 From the 1980s, the carved onyx ring has a citrine at its center surrounded by pavé white diamonds. 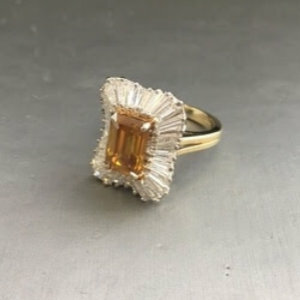 Finally, she wore a yellow diamond and white diamond ring by Harry Kotlar.